When my short play, Restoration, was staged earlier this year – beautifully brought to life by Tom Durant-Pritchard and Lucy Fyffe and directed by Rafaella Marcus – it was as part of The Miniaturists, the showcase for short plays which turns 10 years old this weekend, with a big birthday bash at the Arcola on Sunday. It’s an event I’ve attended many times over the years and always enjoyed it, because they take the short play seriously as a form. These are not snippets of bigger things, not extracts, but whole complete pieces. There’s artistry to the telling of stories in this way, their writing requires the flexing of a different set of creative muscles. 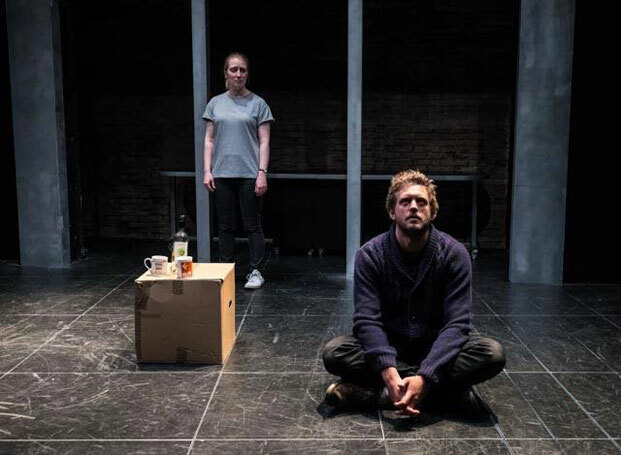 Every show contains five new pieces, both from emerging and established writers – this mix being another key part of the Minis appeal – and none of them lasts longer than 20 minutes. There are always two performances, at 5pm and 8pm, and there’s a really supportive, energising vibe about the whole event, the bar full of writers getting animated about writing. So when I decided to try my hand at playwriting, to scratch that itch, it was the team at the Miniaturists I approached because I knew it to be an environment in which it was possible to fail safely, if that was to be how things turned out. Having had such positive experiences at the event over the years, it was a brilliant – if nerve-shredding – thing to experience from the other side of the fence. I can’t make it along to the birthday celebrations but I’ll definitely be returning to the Miniaturists in future – in one way or another.